Who else is excited for berry season?! I just love fresh berries, and I’ve especially been craving them in the later part of my pregnancy. 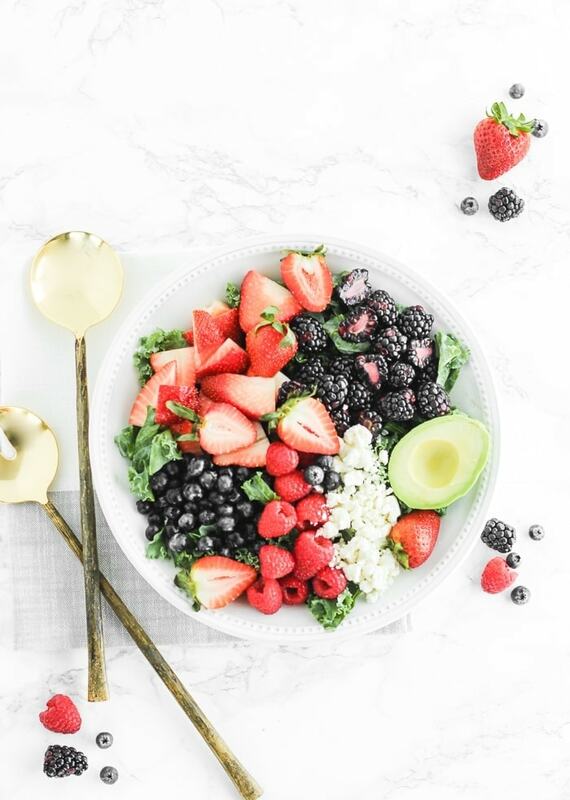 Summer berries, usually grown locally, are even more sweet and delicious than the rest of the year, so why not take advantage of ALL the berries in a fresh salad? This berry avocado kale salad uses blackberries, raspberries, blueberries AND strawberries in one delicious salad. I wasn’t kidding when I said ALL the berries! Since there is so much naturally sweet berry goodness, you don’t need much else to make this kale salad exciting. I just added some creamy avocado (because what isn’t made better with avocado?) and salty feta cheese to up the flavor. A little balsamic vinaigrette ties it all together for a quick and easy kale salad that is perfect for summer! Eat this berry avocado kale salad as an effortless side dish to go with all of your summer meals, or make it as a meatless lunch or light dinner. It is loaded with fiber, vitamins C, K and folate, and antioxidants. You can also add some nuts or grilled chicken or steak for extra protein if you’ll be enjoying this salad as a main dish. 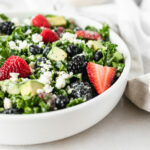 This berry avocado kale salad makes a delicious salad to go with you mother’s day brunch, Memorial Day cookout, Labor Day barbecue, and everything in between! It’s a fresh and healthy side dish that everyone will love, and it takes only minutes to put together. This is an easy salad to make ahead of time, too. Kale holds up well to dressing, so make it ahead and hold off on adding the avocado until you’re ready to serve. Then get ready to get your berry on with some many delicious berries! 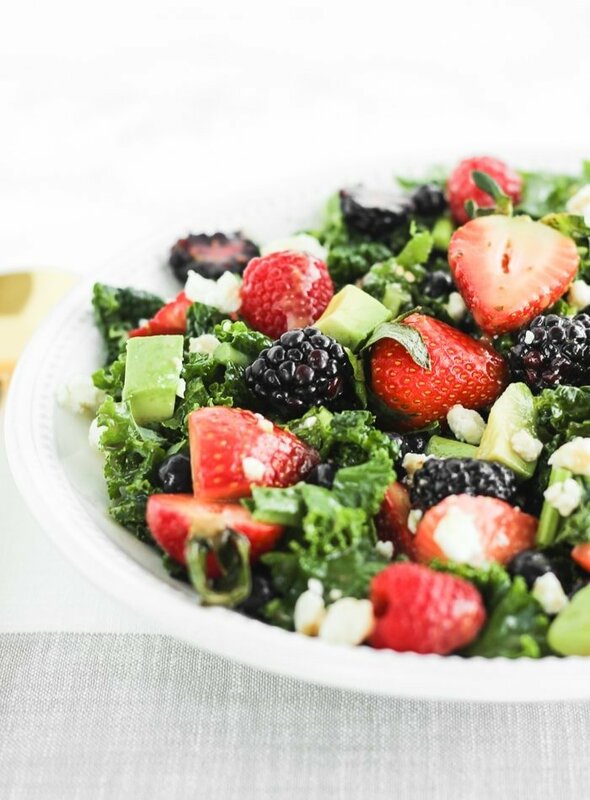 Place kale in a large bowl with berries, diced avocado, and feta. Drizzle with dressing and gently toss to coat. Add more or less dressing to taste. This salad is easily doubled or tripled for a crowd. To make ahead, toss together all ingredients except for avocado and cover, refrigerated, until ready to serve. Add avocado just before serving.